There are three places that make me feel very small. Standing at the edge of the sea, watching the never-ending motion as water is pulled by the unseen and unrelenting forces of gravity and wind and planetary motion. And sitting with a client during pastoral counseling, listening as they delve into the deepest parts, the pains and hurts that few see. In the small places, I feel inferior and inadequate, unable to change much or make an impact. Do you have those places? Truth be told, those feelings of “smallness” are why I love the sea and mountains; that’s why I seek them out. But I don’t typically welcome those feelings on the job, with clients. Maybe I should. 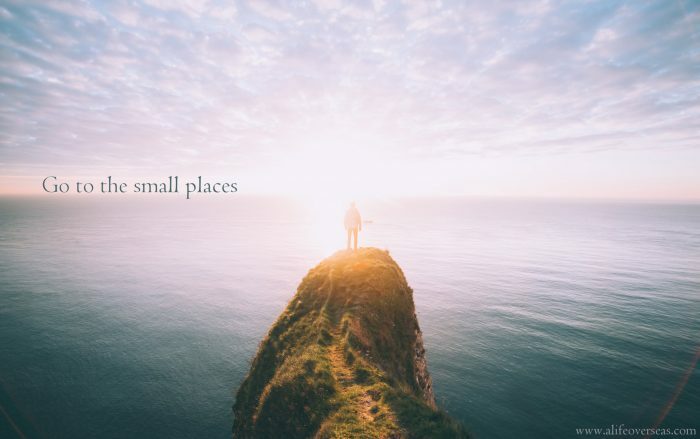 Maybe we all need go to the small places. On purpose.